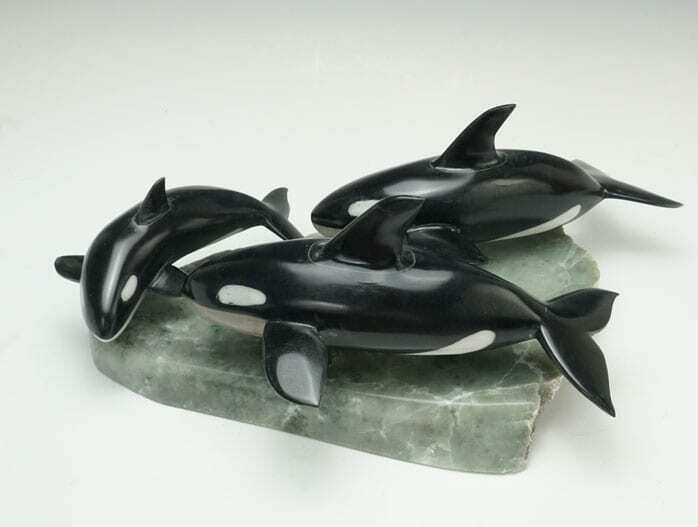 Carved from dense, dark green chlorite, these three orcas are inlaid with alabaster to form the markings of these beautiful marine mammals. 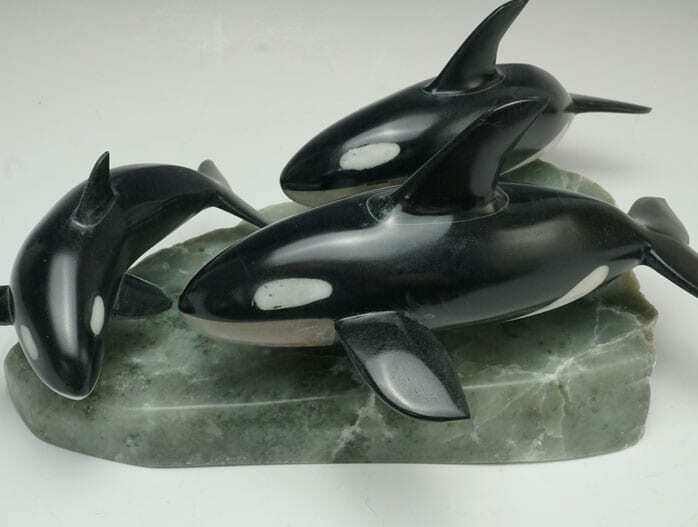 Two adults and a calf, the animals are arrayed in a dynamic formation atop a green stone base. 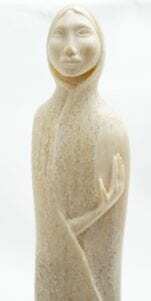 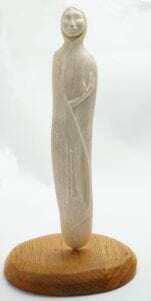 This is a very uncommon theme: we have only carried one orca sculpture in our gallery before. 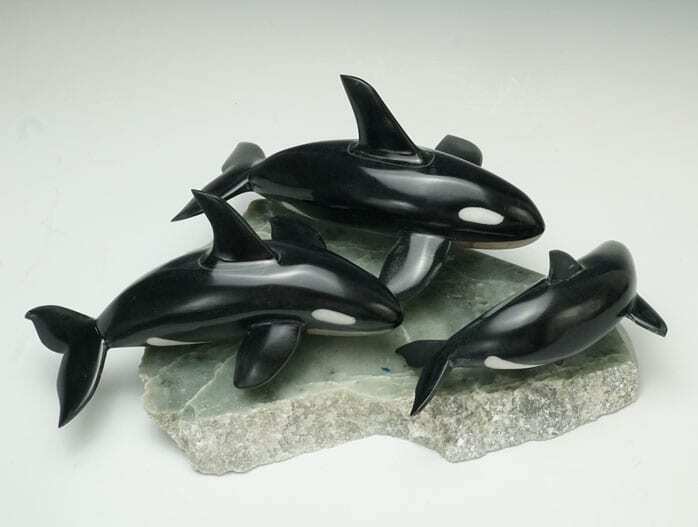 It is wonderful to see these carved orcas! 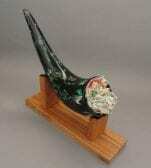 Note: under most lighting conditions the chlorite appears black, as are the whales. 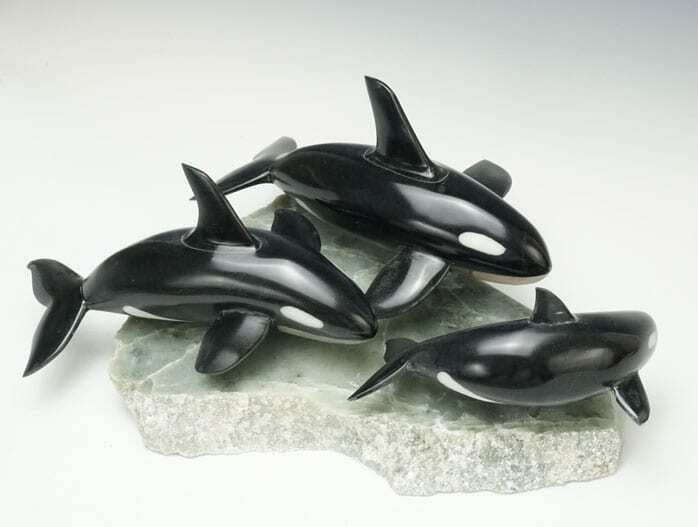 Metal pegs keep the orcas in place, making the sculpture easy to disassemble for shipping and reassemble on arrival.